The New McConnel Prestige Series Front End Loaders comprises of four parallel arm models. A new model for 2005 is The Prestige 60. This loader is available with parellel, none parellel and hydraulic parallel linkage. The new Prestige Series of Front End Loaders is the strongest and most robust range of Front End Loaders available within the McConnel Loader Range. The Prestige Series has lifting capacities of 1500kg to 2900kg with lifting heights from 3.88m to 4.3m. 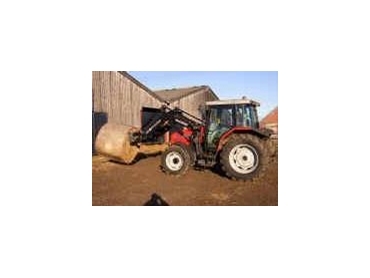 The tractor fitting kit is one of the strongest found on the market today to ensure load weight is equally distributed across the tractor chassis. A comprehensive range of tractor bracketry for every leading model and make of tractor is available. An innovative drive in drive out system allows easy attachment and dis-attachment from the tractor seat within seconds. The New McConnel Prestige Series Front End Loaders are available from International Mowers .